Chay is a teacher with vast experience of Singapore Maths. As a student, she was in the first batch of pupils of who were recognised as leading the world in their Mathematical ability for their age (TIMSS benchmark 1995). Chay has a Diploma in Information Technology, a BA in Tourism Management and also qualified as a teacher at the renowned National Institute of Education (Singapore). 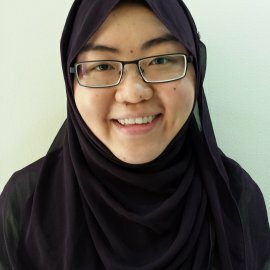 She has taught in Singapore for 3 years and also has experience of teaching in small groups and 1-2-1 tuition in England. Chay’s experience of teaching Maths in Singapore and higher order problem solving means that she is in an ideal position to support pupils through visual methods of learning some very abstract concepts. The level of challenge her students go through can be at a much higher level compared to the English National Curriculum (we really push pupils only after we are confident that they have the basic skills to handle problem-solving), yet we offer strategies which allow our students to overcome and flourish in problem-solving like never before! Kim used 90 cm of wire to form 12 triangles & rectangles, with dimensions as shown below. How many triangles and how many rectangles did she form?